Conscious incompetence. It could be viewed as a pretty harsh term. After all it sounds pretty nasty. 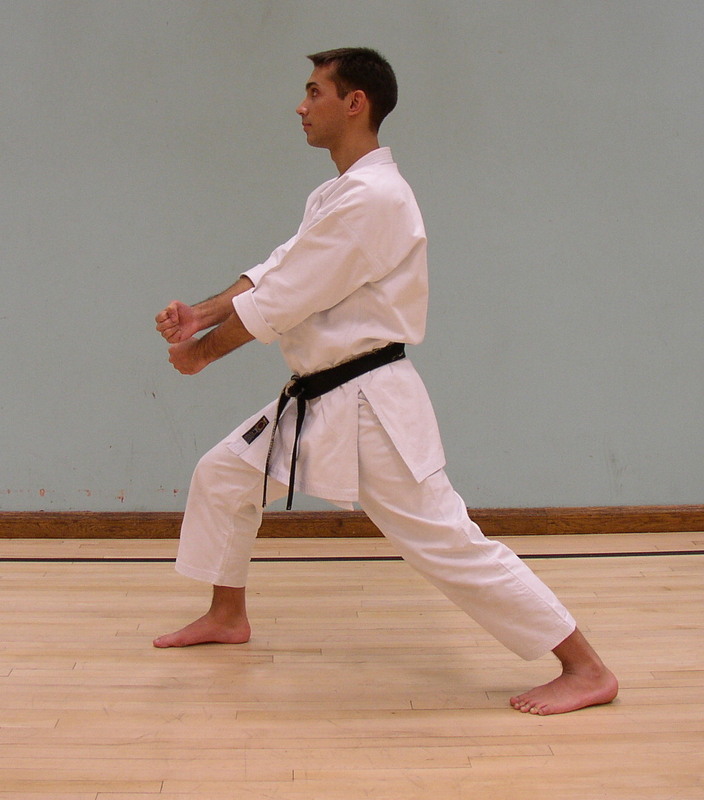 Without the right attitude and support it is a discovery that can end martial arts training for many people. I would argue though that conscious incompetence is the driver that distinguishes between the average, the good and the great. When we begin training we do so with mixed amount of conscious incompetence and unconscious incompetence. We know there’s a lot that we don’t know and we also don’t know how much we don’t know (known unknowns and unknown unknowns). After a short time most students pass into a state of unconscious incompetence, they continue to progress and refine their skills but they don’t really recognise or understand how imperfect their performance is or how it can be improved. Conscious incompetence is the personal revelation that whatever you are doing is not ‘right’, that it could be done better. This does not necessarily mean that a person’s skill level is low or bad, simply that they recognise little (and large) flaws and areas for improvement. This is not the same as having flaws identified externally by others which we may or may not understand and which we are often coached through whether we ask for help or not. Seeing fault in our own skill level in a large part of what we do in the martial arts can be extremely frustrating and demoralising. How we respond can determine whether we continue to enjoy our training, stay training in the same discipline or switch to another believing that we have wasted time, or quit the martial arts completely. Which route is taken depends on both the student and the instructor. In my experience a student that takes responsibility for their own learning, looks to their own effort to improve their own technique rather than relying heavily on their coach, and is prepared to put in the time to refine skills and correct faults is far more likely to see conscious incompetence as an interesting and motivating challenge. A student that relies heavily on their instructor for guidance, or who is used to achieving what they believe or have perceived to be a high skill level with ease, is far more like to be dissatisfied and look to blame the technique, the art or the instructor. I believe that it is important that instructors continuously make students aware that there are levels within levels of techniques and skill sets, and that while they may be able to ‘do’ something, there is always room for an improvement. In such a learning environment, with students always encouraged to seek to polish their skills, conscious incompetence should be highlighted as a learning stage and a sign of improvement. If students are taught to see it as a sign of achievement and an impetus to develop it is less likely to have a negative effect. As a result students will probably be far more likely to come to their instructors for practical advice on how to improve. The advice we give or take will depend very much on the problem we believe that we are trying to solve. The most important thing is that whether it is a plan for ourselves or for someone else, we should focus on small steps. Objectives should always be SMART, that is: Specific, Measurable, Achievable, Rewarding and Time limited. Specific: We must make clear and unambiguous statements about what it is we are going to achieve. Measurable: There must be some way to determine when the objective has been met. We therefore make a statement that describes how we will measure success or failure of the objective. Achievable: It must be possible to reach the objective. It is important to understand in advance whether or not the objective is achievable. It is important to remember, however, that many tasks when first approached seem insurmountable, so it is important to be optimistic and to take on a challenge. Rewarding: The objective should bring sufficient reward that it is worth undertaking. There is always a cost / benefit ratio to consider. It is always important to consider what the cost and benefit will be before initiating a task. Time limited: There should be a clear time frame set out for when the objective will be met. Many things of worth are not achieved quickly and it is important to approach tasks consistently rather than sporadically. Breaking the task down into sub-tasks and estimating time frames is essential if we are to understand the cost of the task. Unconscious incompetence, conscious competence and conscious incompetence are a continuous cycle in our development. We approach something knowing we don’t know it, we then believe that we do know it and then discover that we don’t know it as well as we could. This engenders training to attempt to regain that feeling of conscious competence, but in doing so we also gain conscious incompetence of related skill sets and a realisation that we had unconscious incompetence of other things, and so our growth continues. It can be overwhelming or it can be seen as an exciting challenge. I like to view it as the latter and that is one of the main reasons why I’m still training. I missed you mentioning the last level: unconscious competence. Everyone struggles to ride a bike at first. Then you don’t even think about being able to do it. I would argue that in learning (and especially in combative learning) these three steps exist only in the hope of the fourth. In the practice of martiality and self-defence, this unconscious competence – the level of ‘art’ or jutsu – is the only dependable level, because immediate fear, threat and danger rob us of our conscious faculties. Thanks for the comment. I’m aware of the term but not keen on it. I didn’t mention unconscious competence as I find it a rather superfluous distinction from conscious competence. If I am competent at something I am conscious of it as I am aware I am doing it. As a result I don’t regard doing something on autopilot (such as riding a bike) as unconscious competence because I know I can do it, even if I’m not thinking about it. Interesting – you wouldn’t claim there is a distinction between an infant struggling with his first steps and a four year old bounding about, sparing not a thought for what their legs are doing? People can walk in their sleep – that is, to my mind, a very literal expression of unconscious competence. I think the comparison isn’t the most suitable one for the item under discussion. This is simply a matter of how we both choose to use terminology. I don’t like the term unconscious competence in the contexts I have described above because once you have done something, even if you can do it unconsciously, you still consciously are aware that you can do it. I do see a difference between an infant trying to emulate those around it and attempting to walk and a four year old bounding about (even if no thought is required): the former has conscious incompetence while the latter has conscious competence – they may walk or run without having to concentrate on limb movement but they know they can walk even if they are not having to think about it. In the same vein a sleep walker may be walking even while being unconscious on a number of levels, but they still (as a person) have conscious competence of their ability to walk. I would regard unconscious competence as being able to do something that you’ve never tried before or engaging in a reflex arc response. Something that does occur in training but was not the subject of this short post. 🙂 If it was not a reflexive response (which by its nature is unconscious) then once you’ve done it you’ve got conscious competence of your ability. In terms of acting or reacting without conscious decision making I avoid using the term ‘reflex’ or ‘reflexively’ because those terms have quite specific meanings. Although if a person reacts with a reflex action (such as a genuine somatic reflex) then I would regard that as unconscious competence (because it is not a learned behaviour) and describe it as a reflex. I prefer to use the term ‘naturally’ to describe the automatic employment of learned responses without conscious decision making. Haha. I hear you. But I don’t think anyone who described it as unconscious competence was suggesting that you didn’t know that you could do a thing, only that your conscious effort in doing it and your conscious appreciation of doing it, while you are doing it, is diminished leaving your conscious mind more free to do other things, rather than focus on what you are doing to the exclusion of everything else. To your mind, then, would it be more accurate to describe it as a distinction between cortical competence vs. cerebellar or spinal reflex competence rather than conscious vs. unconscious?